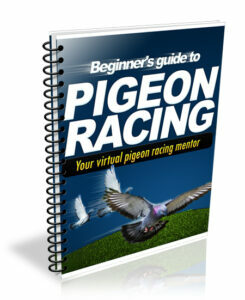 What Do You Think is The Current State of Pigeon Racing? What do you think the current state of pigeon racing is? For example do you think pigeon racing is growing or dying and why, express your views and share with others your opinions on the current state of pigeon racing by placing your vote in the poll below then posting a comment in the comment section below this post. What do you think is the current state of pigeon racing and pigeon keeping? Click here to post your thoughts on the current state of pigeon racing. What Can Fanciers Do To Help The Pigeon Racing Sport Grow? 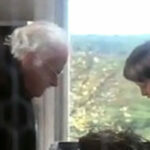 Who Pigeon Fanciers REALLY are! What did you think of Taking on Tyson? Are Mobile Phone Towers Pigeon Killers? **Video** Can GPS trackers save pigeon racing? It really depends where you are in the world! I have heard that the sport of pigeon racing is VERY big in the Far East, China, Thailand and places like that. I live in the South West of England and have been out of the sport for over 10 years. 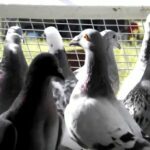 I am just getting back into pigeon racing and it seems to me that if you don’t have Top Class pigeons that are Very Fast – you stand no chance. Good pigeons cost a lot of money and the price you have to pay for quality birds is Far too HIGH. The only way you will get any where near what you have paid for them, is to sell their youngsters – and that is only IF the birds you have bought, produce good young birds that win and win. Like everything theses days – Money Talks! and money running a close second. growing then dying due to commercialization unfortunately. several important reasons that sports is dying, the main reason is that racing pigeon sports is transformed into a business instead of sports, high prices and everyone can’t afford. Here in Pakistan people have interest in racing pigeons but after entering this sports they are compelled to leave due to economical problems. First of all you need a good amount of money to buy a proven blood line. then you have to look for vaccines, and grains are costly here. and there is no proper guideline, books are sold on high prices. Lack of knowledge and resources lead towards dying of growing sports. I have seen many well known fanciers who left and its really heart aching. 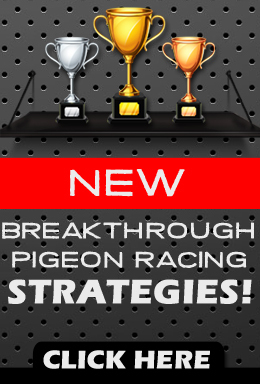 i think pigeons racing must be considered as a sports instead of business. Knowledge must be free and accurate and pigeons price must be reasonable and medications must be available. I myself believe the sport is dying, because the information isn’t out there for the young to people of today. most of the products for the pigeon such as the medication is to dear to buy for young people, there is lots of diseases that need medication. the grain is Expensive …..I find the older people don’t want to talk about the sport too much.. and its hard to find the right answers you are looking for…. A columbofilia em Belo Horizonte tem crescido, no numero de criadores, mais as estruturas não. uma estrutura melhor e os que querem ver a coisa crescer não tem capital pra investir no esporte, não temos produtos voltados para os pombos temos que importar e o governo muitas vezes não deixa passar os nosso pedidos por isso ser columbófilo no Brasil não e fácil e muito caro! The pigeon in Belo Horizonte has grown, the number of creators, most structures not. Clubs are broken, transportation and scrap, and differences between the old fanciers, do not let you have a union to form better structure and who want to see something grow does not have capital to invest in sport, we do not have products for the pigeons have to import, and the government often does not miss the our requests therefore be fancier in Brazil is not easy, very expensive! it has become a rich man sport it use to be most fanciers would give birds to someone to get them hooked on the sport now it is all about the money for most people in the sport. I think it is growing wonderfully here in South Africa as most of the pigeon race breeders are using natural medicines to aid in the health of their pigeons. I am new to the group and want to learn as much as possible as I am busy with my National Diploma in Animal Production and in a years time will be doing my BTech Animal Health degree. I think in my own opinion it is a good sport to have not just for the adults but to teach the younger generation. Sadly the demise of pigeon racing is due to many things, but most of all is the total ignorance of the public in general of the completely unique aspects of the creature, for instance out of all the living creatures on the planet it has the longest affinity with Man. and the humble Pigeon has saved more human lives than any other living creature. been awarded more bravery medals than any other creature, and as a unit of weight pound for pound it is the most adaptable living creature, Hence its common miss conception as being Rats of the sky. It is ignored by Governments even though in Tasmania alone the activity possibly injects 1.5 million dollars annually to the states economy. and that is just some of the amazing things unique to the birds.